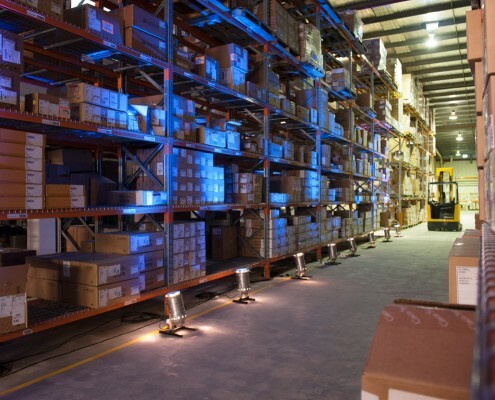 Our warehouse management application suite (WISE) is the core of our Supply Chain Solution. WISE has user defined location rules, package types, picking rules, shipment procedures, packaging techniques, and all other significant details regarding your operations. WISE then optimizes these tasks for you based on detailed algorithmic rule engines. These extensive WISE Functions are available to improve the distribution center’s operations by minimizing costs and increasing productivity. A hosted data center is less likely to go down than an individual or legacy customer system because it has been built with full redundancy capabilities. It is supported by battery powered back-ups, has its own generator backing up the battery back-ups, and usually has a co-location site where the systems run if all of these back-ups fail. With a Royal 4 hosted system, you will not lose the information stored at the central site even if your Internet connection drops. And, if the data center goes down for a brief or extended period of time, users are typically able to continue their work uninterrupted. An ASP’s core business is to offer their customers applications over the Internet in a private, secure environment. ASP solutions utilize the latest security technology including firewalls and encryption. Security is designed to protect privacy by preventing initial entry into an individual customer’s database and there is continual monitoring as well. In addition, ASPs tend to be early adopters of the latest advances in security technology. Many legacy and “home grown” systems are unable to maintain this same level of security. Software upgrades are a thing of the past if you choose an ASP-based offering. All software upgrades are performed seamlessly by the ASP as part of the subscription fee. ASP’s perform automatic back-ups centrally in a sophisticated data center. There is no need for any file back-ups to be done locally. For example, if you have purchased an ASP – based inventory management solution, your customer records, inventory levels, pricing structure, etc. will be backed up automatically at predetermined times so that you can always access the most up-to-date information. The use of Radio Frequency Scanners and Barcodes is truly the backbone of all WISE warehouse transactions. Automatic data collection, real-time transactions capture, and flexibly dynamic menus enable WISE users to utilize the WMS’s intelligence at incredible speeds and accuracy. All warehouse functions are performed and updated in real-time. So the moment a task is complete, the next task in the sequence is triggered. If a rush order is sent to the warehouse floor and needs to be processed immediately, WISE can make the adjustment to the open tasks immediately by putting that order first priority over the existing open pick tasks. WISE is also one of the only Warehouse Management Systems available today that runs the same language on the databases, clients, and RF devices. To accomplish this task, WISE seamlessly runs its own programs on the RF devices via terminal emulation. This also means it can support any brand of RF devices commercially available today such as: Symbol, Intermec, Telxon, LXE, or Teklogix. Currently, WISE supports over 32 standard warehouse RF functions. Standardized label formats used by trading partners contain detailed unique bar codes. These compliance labels are used as; shipping, container, pallet, carton, or piece labels. WISE can interface with various bar-code labeling software products which now have common compliance label standards set up as templates. Radio Frequency Identification (RFID), represents the next technology for retailing and distribution. These tags convey encrypted information that uniquely identifies items at the case, pallet, or container level. Often called “Smart Tags”, they are essentially chips with antennas that transmit Electronic Product Codes (EPC’s) instead of the standard printed UPC codes. Potentially these tags can even be embedded into the product itself, becoming an indistinguishable part of product labeling or structure. The tag’s information is transmitted automatically so there is no need to unpack or scan individual bar code labels. The result is improved inventory accuracy, reduced labor costs, and significant operational gains which all translate into increased savings and higher value. > Complete support of ASN’s which can either be sent directly to WISE or via the host system. The process of gathering parts and/or products to make a finished good is made up of multiple components. Through a process called backflushing, the material is issued automatically when production is posted against an operation. The backflushing program will use the quantity completed to calculate through the bill of material, quantities of the components used, and reduce on hand balances accordingly. At receipt, WISE can determine the parameters in which to sample a shipment to assure significant quality control. These parameters consist of percentages of items by product ID, group code, vendor and/or any combination thereof. The system will then generate the tasks to move those materials that require quality assurance procedures. The rejected lots will be flagged in the system to avoid carrying out putaway and allocation tasks. WISE’s extensive Quarantine Functionality enables the managers to put an item, group, location or even zone into Quarantine, until proper procedures are followed. When items or shipments are returned to the warehouse, WISE recognizes and captures the shipment’s unique data. The RF’s direct the receiver to input the items’ current condition and reason it was returned, and the fault of the return. Based on the values inputted for these three variables, WISE will direct the warehouse personnel to take a specific user defined action. ie: put items back in general stock, put items in staging for future delivery, take to re-work to repair, send back to manufacturer, or simply scrap. Extensive putaway functionality enables the warehouse to utilize many different styles and methods of putaway techniques. Using the RF’s as the backbone of the putaway tasks, WISE directs the users to the proper location and correct equipment with the most efficient route and manner. All RF putaway transactions are confirmed with a location bar-code scan to ensure realtime inventory accuracy. Based on a user defined configuration, WISE will generate the putaway tasks to most efficiently direct warehouse personnel to put items away based on either the item itself, the product group, the locations, and/or any combination of the three. WISE also incorporates consolidation rules, and the product and location’s dimensions (also referred to as cubing). The cubing functionality utilizes the product dimensions, weight and cube information to accurately ensure each location’s viability for putaway. This will also prevent product damage by specifying item-specific, or location-specific maximum load stacking parameters. The ability to crossdock is a valuable tool to increase warehouse efficiencies and speed order processing. When an item is received into available inventory and the same item is required for an outbound order waiting processing, WISE triggers the immediate tasks necessary to take the goods from the receiving dock to the packing station or shipping door to complete the shipment. This eliminates all putaway and picking tasks that would be necessary to store the item and then pull again. 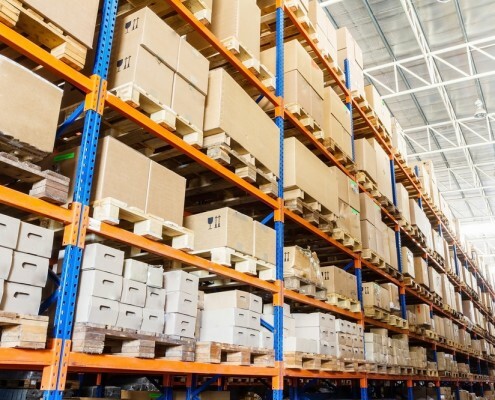 Inventory is tracked from the moment it is received at the dock door including every step of the warehousing process until it is directed out the shipping door. Inventory is controlled at the item level by SKU number, quantity, and location. All tasks are system generated dynamically directing warehouse personnel via the radio frequency backbone. This enables warehouse management to run the distribution center using realtime inventory status and quantities. WISE supports pick and pack operations that require replenishment activities. It maintains inventory levels in forward pick locations and controls the movement of items from reserve or bulk storage locations to the higher volume forward pick locations. Warehouse employees are directed to complete replenishments based on location or item minimums and maximums. Also, the warehouse manager can perform a “mock” allocation of the day’s orders to verify available stock in the forward pick locations. If there is not enough inventory available to fulfill the day’s orders, WISE will automatically generate the pick tasks from the bulk locations to adequately supply the forward pick locations. The unit of measure describes how the quantity of an item is tracked in the inventory system. The most common unit of measure is “eaches”, which simply means that each individual item is considered one unit. An item that uses “cases” as the unit of measure would be tracked by the number of cases rather than by the actual piece quantity. Other examples of units of measure would include pallets, pounds, ounces, linear feet, square feet, cubic feet, gallons, thousands, hundreds, pairs, and dozens. WISE gives the user the ability to view all inventory instances in their multiple units of measure simultaneously. Dynamic space management is another key feature of WISE. Once the layout of the distribution center has been set up and the attributes of products and locations are defined, the system will manage the space according to the availability, volume, weight, and attributes required for the product. The system can report the location or locations of a particular product as well as its current status whether on-hand, allocated, available, or potential. WISE utilizes the item’s and location’s “cubes” which is a term used to calculate volume and denote the capacity of an item or location. Upon implementation and before commissioning of the system, a warehouse-wide physical inventory is taken to enter every item of the system per its precise location. A scan of the location, followed by scans of the items ensure the item-location match. After implementation, WISE’s Dynamic Intelligent Cycle Counting Functionality will handle all future counts. The WISE cycle counts do not require an inventory freeze. The counts are automatically triggered in the background per user-defined requirements. Cycle counts can be conducted per location, zone, product group, or item ID. A discrepancy cycle count is triggered whenever there is a putaway or pick task completed and there is a difference in the actual quantities and the expected quantities. That location is then put on a temporary hold and a count is triggered. WISE’s Order Management functionality is a flexible tool used to group and release orders for shipment. This easy-to-use functionality gives the manager the capabilities of releasing single orders or groups of orders based on order number, customer ID, destination, dates, FIFO/LIFO carriers, priorities, and any combination thereof. At any point in the warehouse order process an order can be immediately cancelled and WISE will generate all the necessary tasks to re-stock the items already in the picking or shipping process. Specific Order Prioritization pushes orders that require special handling or expediting to automatically be assigned in the system to receive priority within the task pool. WISE enables the warehouse management the flexibly to release orders to the warehouse floor to be picked and processed. A paperless warehouse is the goal of any WMS, but if printed picklists are required, WISE can deliver a simple hybrid of the two. *If a paper-based system is required, please see the WISE-Paper section of the product information brochure. By using the RF technology, a release of an order or group of orders is called a wave. A wave can be released to be picked for an order, zone, location, or employee. WISE can pick by wave, order, priority demands, pallet, partial pallet, piece, zone, location, and by customer. The picks are assigned to individual employees based on user defined priorities, product/order attributes, security clearance, and internal warehouse path sequences. All details of the picking tasks are recorded in a detailed WISE transaction log for reporting employee, unit of measure, destination, and transaction time stamps. WISE supports many different packing methods. The most common is to pick from general storage, then take the goods to the predetermined packing stations where the “packer” takes over the next step of the order’s process. If the user has defined that they are picking an individual order or orders, WISE can then pick from general storage locations and put the items directly into the packing container ready for shipment. This is also termed “palletization” if the packing container is a pallet and the entire pallet is used to ship. WISE’s Cartonization functionality enables the warehouse manager to use the item’s cube information based upon entered weight and dimensions of merchandise to be packed for put-away for best location space utilization. After the items for an order have gone through all of the user defined steps including pick, pack, and palletize, it can then be shipped. The orders can be consolidated into one shipment based on order number, container, carrier, wave, zip code, or state. WISE’s detailed shipping logic allows for these variables and any combination thereof. At shipping, all of the necessary outbound documentation is produced including but not limited to invoice, packing lists, shippers export doc/ AES transmission, shippers letter of instruction, NAFTA certificates, bank document, domestic bills of lading, dock receipt, hazardous goods documents, and domestic carrier labels. Orders being processed at different times for the same destination can be consolidated at time of shipping to reduce transportation charges including UPS hundred weight, LTL carrier, or other. WISE can be integrated directly to each of the individual shipping manifest systems of the parcel carrier companies. The shipping manifest can be automatically sent to UPS, Federal Express, or other to insure accurate billing and tracking of shipments. This tracking and freight information is then stored in WISE for reference and automatic email notifications.